Whether you’re traveling across the country to visit loved ones, or spending time at home with the people you care for most, holidays are all about reflecting on the year and enjoying time with friends and family. It's also a time for wish lists, presents and shows of compassion. Chicago entrepreneurs at mHUB work to develop products across sectors, but all with the consumer in mind. 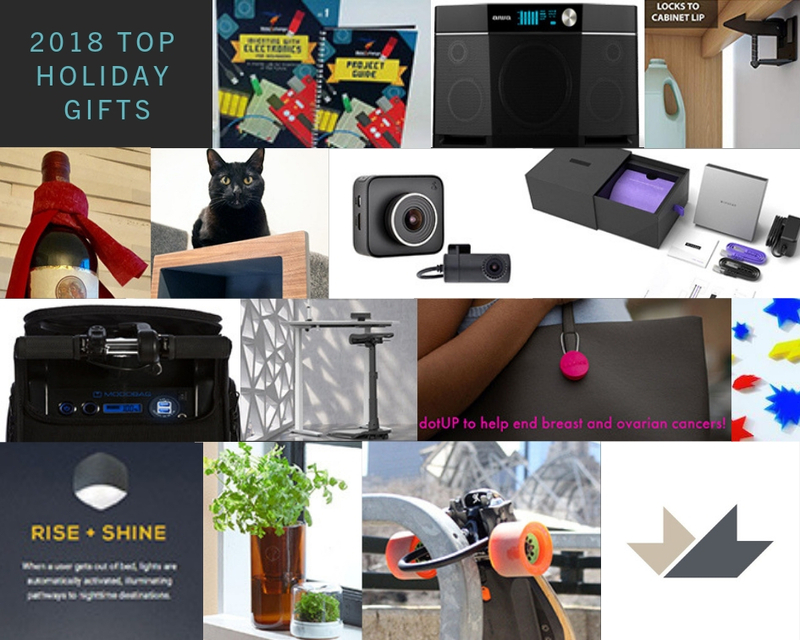 Here are a few that will keep your family happy, healthy and safe this holiday season. Interested in purchasing any of these products? Links to product pages are included below. Contact members for potential discounts. Aiwa founder, Joe Born, brings the power of music to life. 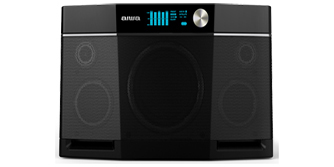 Portable, powerful, clear, and ahead of its time, the Aiwa Exos-9 is sure to get everyone in your household jumping. Whether you’re home or on the road, the highest rated speaker on Amazon provides distortion free volume even at its loudest setting. If you need something louder for a larger setting, link a second speaker and you’re ready to go. It’s Bluetooth capabilities, sound quality, portability, and oomph are unmatched in the competitive industry of portable speakers. 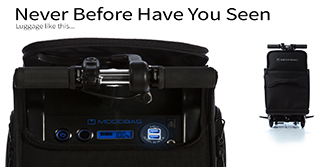 mHUB member, Modobag, is the most exciting innovation to hit the luggage market since rolling bags were introduced in the 1970's. Combining the functionality of a standard suitcase with the innovation of personal mobility, Modobag is the world’s first smart luggage system you can ride. It’s the perfect option for road warrior travelers who know the stress and hassle of maneuvering airports around the country or globe. It’s also a smart travel option for on-the-go business professionals, urban day-trippers and individuals who might have mobility issues getting from point A to point B. It’s efficient. It’s safe. And it’s a lot of fun! 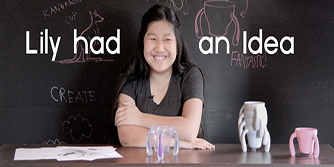 Lily Born is mHUB’s youngest social innovator, but you wouldn’t be able to tell based on the design of the Imagiroo Kangaroo Cup. Her company, Imagiroo, is fighting Parkinson's one kangaroo cup at a time. Lily became tired of her grandpa with Parkinson disease suffering while not being able to drink without spilling due to poorly designed cups. Check out the recent Forbes article written on this beautiful mission and impeccable inventor. Between her lively Zig Zag Pow earrings and incredibly useful wine cape, maker Carrie Leigh has the perfect stocking stuffers. 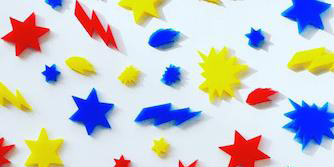 The Zig Zag Pow earing will liven up the household with fun, colorful ornaments for your ears. Created in our laser cutting lab, these earrings will keep the holiday spirit flowing well into the new year. Research suggest a glass of wine per day can help people live longer, so we over at mHUB take our wine serious… because science. 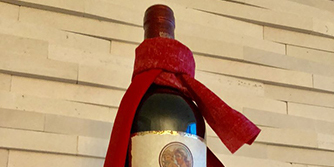 That’s why we’re grateful for Carrie’s invention, the wine cape, to help prevent spills and extend the lifetime of your favorite white shirt. Video games are great, but founder Joseph Greer knows the children in your life will get so much more out of MakeXchange’s Invention Lab. Made for ages 10 and over, excite their inner inventor with an imaginative kit of countless adventures! 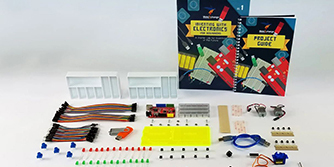 From basic circuitry, to common electronic components and coding, they’ll learn all the fundamentals of inventing with electronics! Give your loved ones the skills and tools they need to get started on their inventions for the future. 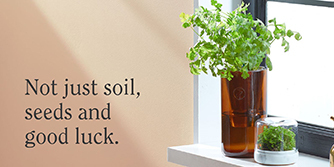 Thanks to hydroponics, co-founder Nick Behr and his company Modern Sprout simplifies modern gardening allowing you to grow plants and herbs right from your window sill. Whether you’re cooking or just looking for fresh air, Modern Sprout will make your home look great and smell delightful. The dotUP PINK campaign, founded by Tim Fates, raises money and awareness for breast and ovarian cancers. All profits from sales of PINK dots support Bright Pink, the only national non-profit focused on the prevention and early detection of breast and ovarian cancers in young women. 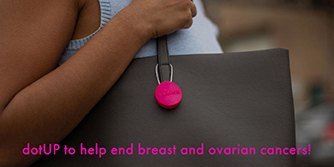 dots are an exciting new wearable accessory for fundraising and awareness. Ergonomic, and garment, bag, and activity friendly, dots can be affixed to just about anything. Easily attach it to a purse, backpack, or any other bag, or get creative and spruce up your necklace, shoe, jacket, scarf, hat, or just about anything else you can possibly wear. Cat Matter, founded by Jeff Faye, focuses on bringing pets and people closer. 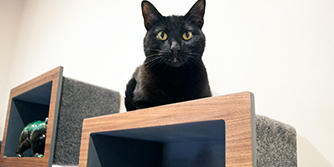 Shelving and furniture units are designed to provide the exercise, privacy, and height your cat needs, while ensuring your home stays organized and stylish. All products sold by Cat Matter offer functionality and style for you, while delivering privacy and exercise for your cat(s). 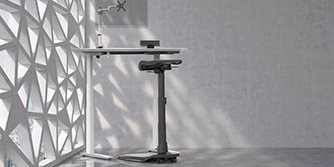 Grounded in orthopedics and ergonomics, Ergo Impact, founded by Jonathan Sheinkop, uses ergonomic design to bring wellness to the workplace and home office. The award-winning and fully patented LeanRite™ Elite standing chair is the first of several planned innovations to encourage healthier lifestyles and physical, mental, and emotional well-being. 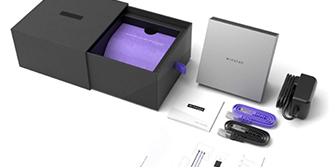 Protect all the internet connected devices in your home network with Winston Privacy from Richard Stokes. This one-of-a-kind product scrambles, encrypts and anonymizes your home internet activity. Your smart home isn’t complete without the proper protection, and Winston has created a product to keep everyone in your home safe. Pre-orders are available now with products shipped in February. The Dual View Dash Cam from Cobra, designed by Sean Kim, Director of Design and UEX at Beyond Design, provides complete coverage for everything from trips to the grocery store, to road trip adventures, and the daily rush hour commute. 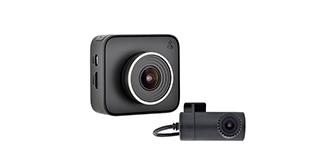 The dual camera continually records the road and connects to Cobra iRadar to warn the driver of upcoming red-light cameras and speed traps. With a complete suite of safety features, Dash Cam is a must add in any car. Don’t forget the cabinet doors when you’re childproofing or pet-proofing your home! Prevent your little ones from reaching into storage spaces with harmful cleaning products, knives and medicines. 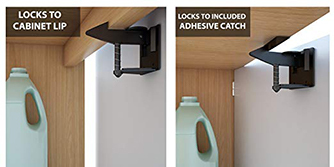 The Good Stuff child safety latches, from Paul Hersko, are a must have in all homes with children or adventurous pets. Locking up your bike during your commute to work or your adventures across the city is easy and common, but the same can’t be said about your skateboard. 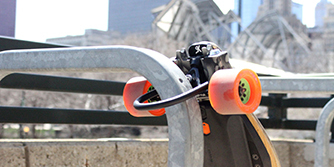 SkateKastle, founded by David Kinnich, produces secure locking systems for electric boards allowing skate boarders to lock up their boards on a typical bike rack instead of carrying them to work or class. Look out for their longboard lock in 2018. 1/2 of assisted living residents fall every single year. Less than half of them tell their healthcare provider. 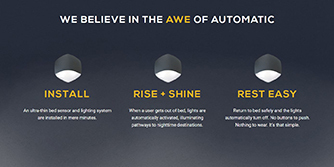 With 40% of falls happening at night, CEO and co-founder, Donovan Morrison, invented Luna Lights, motion sensored smart lights that illuminate paths at night to help combat senior falls. If lights remain on for an extended period of time, a notification is sent to caregivers to alert them of a potential fall. Luna Lights are currently only available in senior living communities.